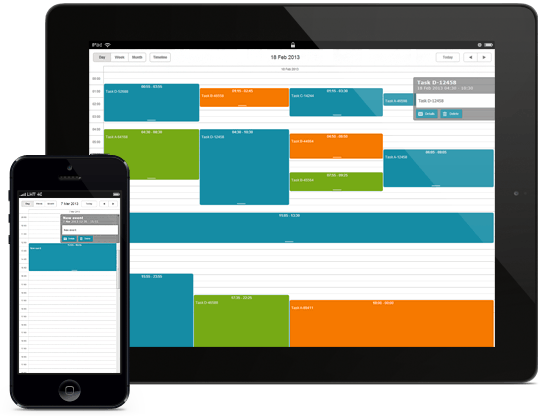 DHTMLX Scheduler .NET provides all essential features that allow you to create rich and highly customizable event and booking calendars for ASP.NET/MVC/MVC3 Razor apps. Check out the full list of features or view live demos. The full 30-day trial version of Scheduler .NET is available for download. A new extension “Quick info” has been added. It provides bigger and easier-to-target buttons. 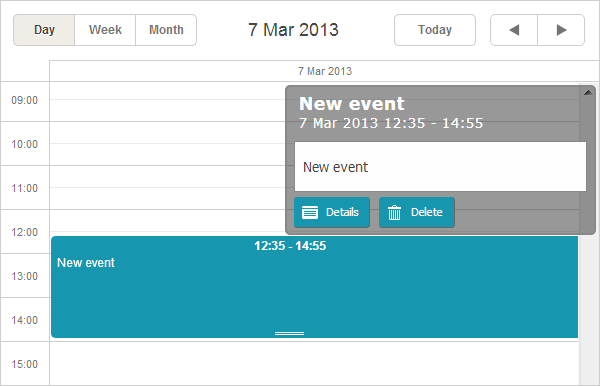 If you intend to use an event calendar on a touch screen, apply terrace skin with a finger-friendly design. Double tap on an event opens an edit form with event details. Long tap and drag let you move the existing events or create new ones. By single swipe you can switch to next or previous time span. The edit form has “Details” and “Delete” buttons that can be replaced with any custom ones to meet your app needs. You can set the edit form to stick to the left side of the screen or let it float to the specific event.